WASHINGTON: The US has not seen a “decisive and sustained” change in the behaviour of Pakistan, even after the Trump Administration announced a $2 billion security assistance freeze to Islamabad nearly two months ago, a senior American official said on Tuesday. 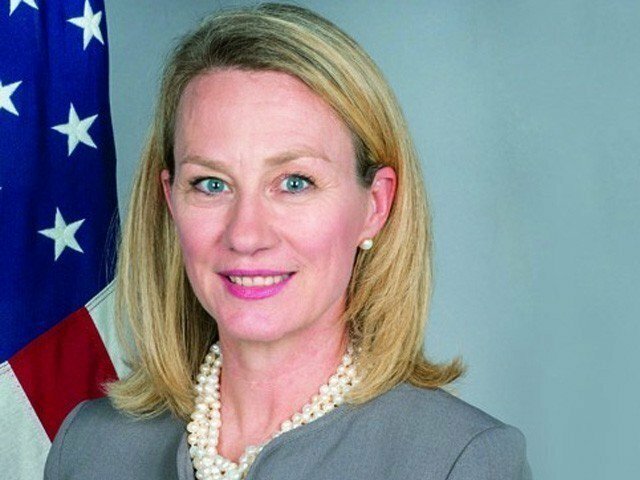 ”We’ve not seen decisive and sustained changes yet in Pakistan’s behaviour, but certainly we are continuing to engage with Pakistan over areas where we think they can play a helpful role in changing the calculus of the Taliban,” said Alice Wells, Principal Deputy Assistant Secretary of State for Alice South and Central Asia. “We believe that Pakistan can certainly help to facilitate talks and to take actions that will put pressure on and encourage the Taliban to move forward towards a politically negotiated settlement,” Wells said in response to a question. “And our engagement with Pakistan is on how we can work together, on how we can address Pakistan’s legitimate concerns and Afghanistan’s stability through a negotiated process as well,” she said. ”Pakistani officials have underscored, they see a variety of issues, whether it’s border management or refugees or terrorism that emanates from ungoverned space in Afghanistan, as important issues, and we would agree that all of these need to be resolved during the course of a reconciliation process,” Wells said. Pakistan has concerns over border management; over the Tehreek-e-Taliban Pakistan’s presence in ungoverned space in Afghanistan; refugee concerns, she said. “We support that and think it’s important,” she said. Meanwhile, Alice Wells endorsed a recent overture by the Afghan government to the Taliban as a “benchmark event” on the road to peace, but said any talks should not involve the US, something the Taliban have insisted on. “We certainly cannot substitute for the Afghan government and the Afghan people,” said Alice Wells. The Taliban haven’t formally responded to the proposal. The group has repeatedly said it would talk only with the US, which it regards as its principal adversary and the main prosecutor of the war. “This is, unfortunately, the byproduct of what is going to be greater success,” Wells said of the attacks, attributing them to increased pressure on the group. If Pakistan has very important role to play than let it play that role the way it wants, it will play that role keeping in mind its national interest, not that of United states at the expanse of its own interest. Us has played most of its cards, they did not force Pakistan to abandon its national interest.